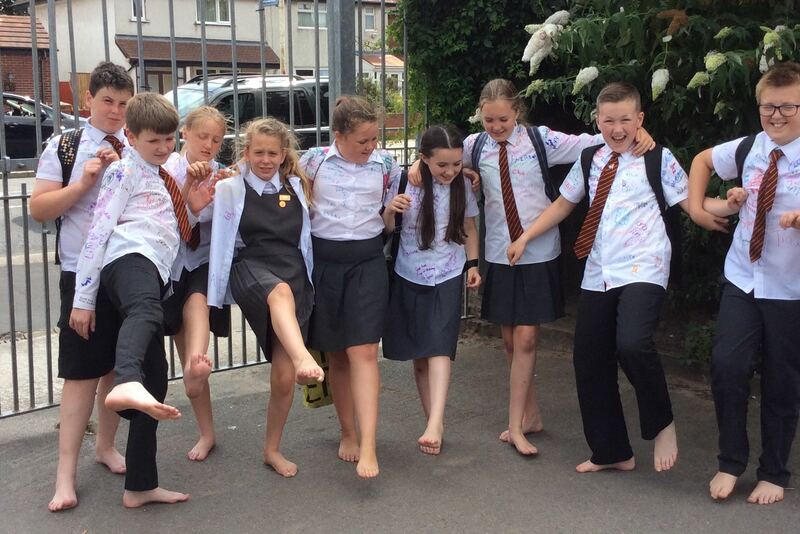 Children from schools from all across Southport walked out at the end of the day barefoot and donated their school shoes to Sal’s Shoes, a charity who collect preloved shoes and distribute them to children around the world. 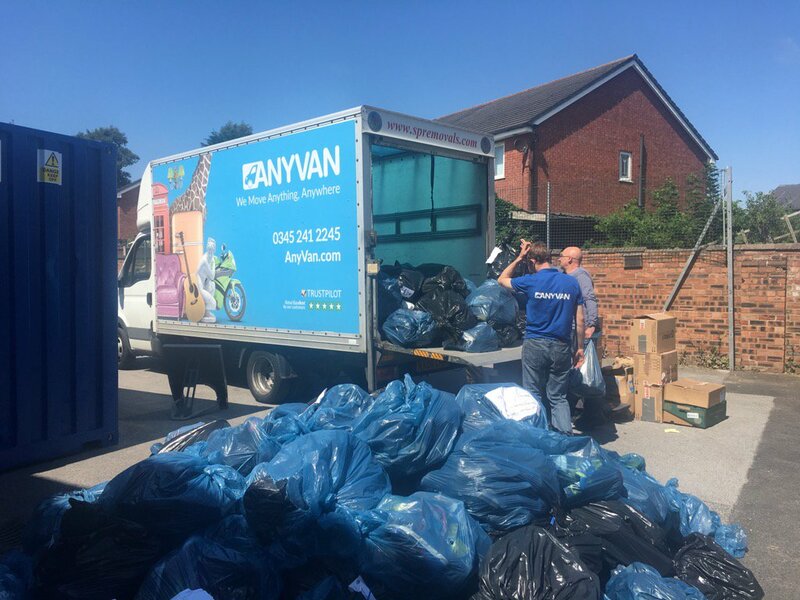 23 schools took part, including Farnborough Road Junior school who contacted AnyVan to help them transport over 7,500 pairs of shoes to Redhill, Surrey, where the charity would sort them and send them off to find new feet in poorer corners of the world. 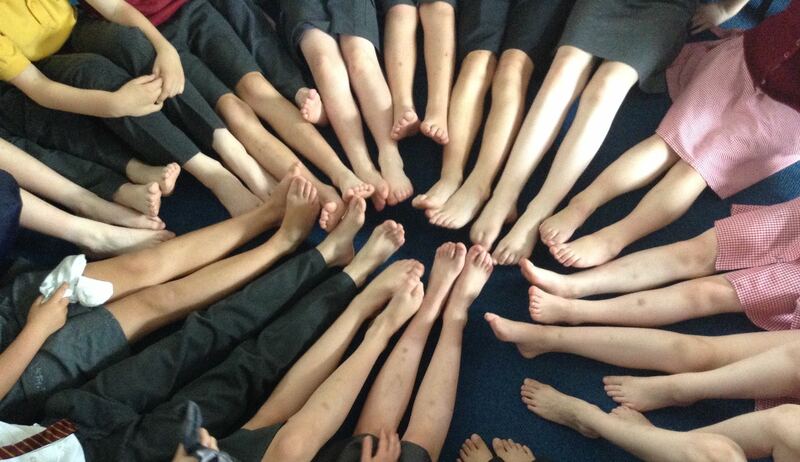 Adrian Antell, one of the project organisers, explained that the children took their shoes off at the end of the school day and left barefoot to show of support for the children who have to walk to school barefoot each day. The shoes were collected and bagged, ready for AnyVan to transport to Sal’s Shoes in Surrey. AnyVan has helped Sal’s Shoes out with their mission on two other occasions. In September 2016, we were asked if we could complete a job which included moving 200 pairs of shoes from Newcastle to London to then be distributed across Africa. Happy with how the previous project went, CJ from Sal’s Shoes got back in touch to ask for help with a project they were completing with pre-school football class company Little Kickers. 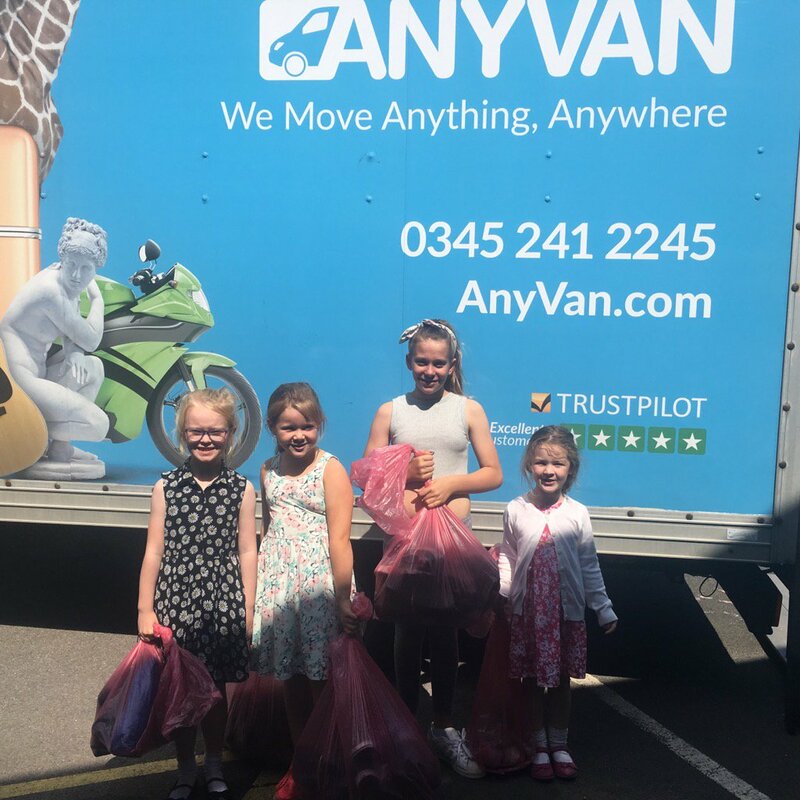 When Adrian from Farnborough Road Junior school got in touch with us and informed us that he was working on a charity project with the Sal’s Shoes team, we were more than happy to get our Magic Van involved again. In total, we have helped Sal’s Shoes transport almost 10,000 pairs of shoes to be distributed over 26 countries.